Fresh Plus Grocery is opening a store on Anderson Lane at the location recently vacated by Sprouts Farmers Market, formerly Sun Harvest. According to this article in today’s Statesman, the new store may be opening as soon as February 1. 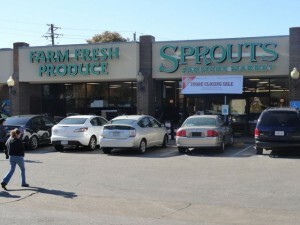 Sprouts recently closed that location as the result of a merger; it had too many locations too close together. The closure upset area residents who made a plea to similar-type grocers to fill the void. Fresh Plus responded. The locally-owned grocer owns two other stores; one in the Hyde Park and the other in Clarksville. Allandale residents Carolyn Croom and Barbara Garza are quoted in the article. Click here to learn more about Fresh Plus and the planned opening.